The City of Walhalla invites the public to an Open House honoring the retirement of Walhalla city administrator, Nancy Goehle. 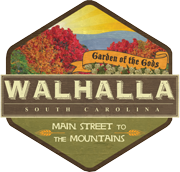 The drop-in Open House will be at Walhalla City Hall this Friday, April 28th, from 10am-2pm. Please join us for light refreshments and to say thank you to Mrs. Goehle as she retires from serving Walhalla for the past 28 years. All Walhalla Rec Dept games have been cancelled this evening due to weather.